HANOI (Xinhua) – Vietnam’s Ministry of Industry and Trade as well as Ministry of Agriculture and Rural Development are working with Chinese partners to facilitate cassava starch production and trading enterprises to export to the Chinese market, local media reported yesterday. Large-scale cassava factories and household-scale facilities in Vietnam are being encouraged to improve their products’ quality to meet China’s food hygiene and safety standards, as well as the neighbouring country’s regulations on packaging labels, daily newspaper Vietnam News quoted the Vietnam Cassava Association as reporting. Just 50 percent of 120 existing factories, excluding household-scale facilities, currently meet China’s food hygiene and safety standards, the association said, noting that China is the largest consumer of Vietnamese cassava, accounting for 90 percent of exports. To further tap China and other foreign markets, cassava factories in Vietnam should invest in developing material areas, not just buying the material from farmers, to avoid fierce competition in purchasing raw materials, recommended the association. 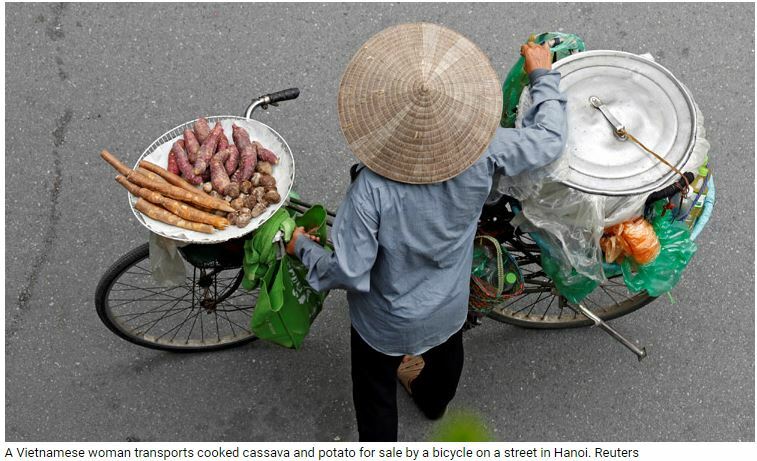 Vietnamese traders should shift from trading small volumes at border gates to doing business under contracts with large export volumes, according to the agriculture ministry’s Department of Farm Product Processing and Market Development. Vietnam gained $972 million from exporting over 2.4 million tonnes of cassava and cassava-based products, mainly to China, South Korea and Malaysia, in 2018, seeing respective year-on-year declines of 5.8 percent and 37.5 percent, according to the association.